Home / 1. 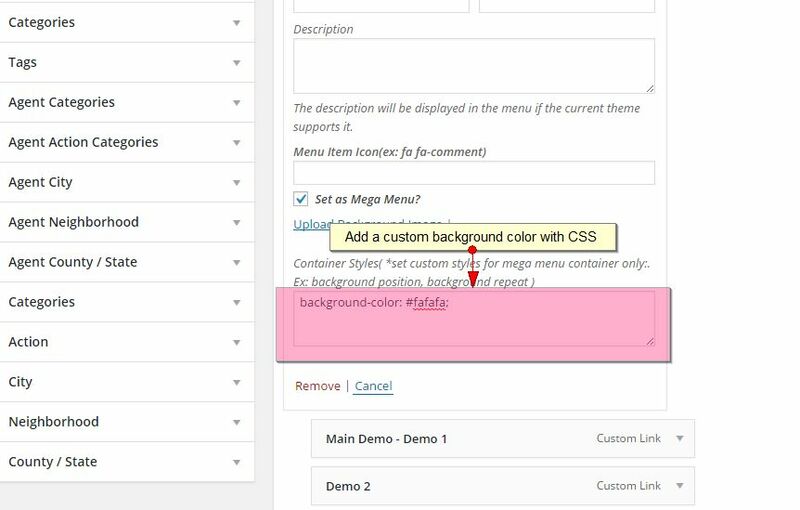 Installation & Demo Setup, Header / Menu Options / Mega Menu: How to enable Mega Menu. How to customize Mega Menu. 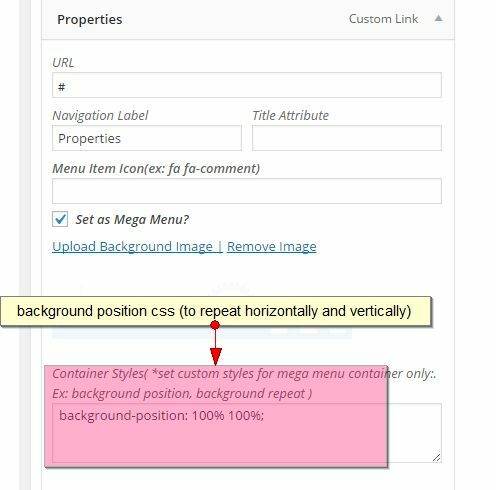 To add background color to the mega menu content, use CSS. See example below. Change the color code to your color code. 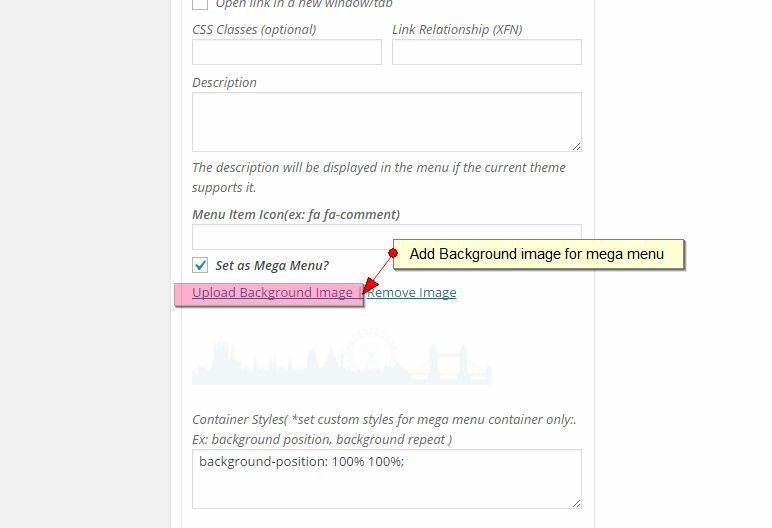 How to add Images to Mega Menu items. Images as menu items with title below are added with text widgets. See the steps below. a. 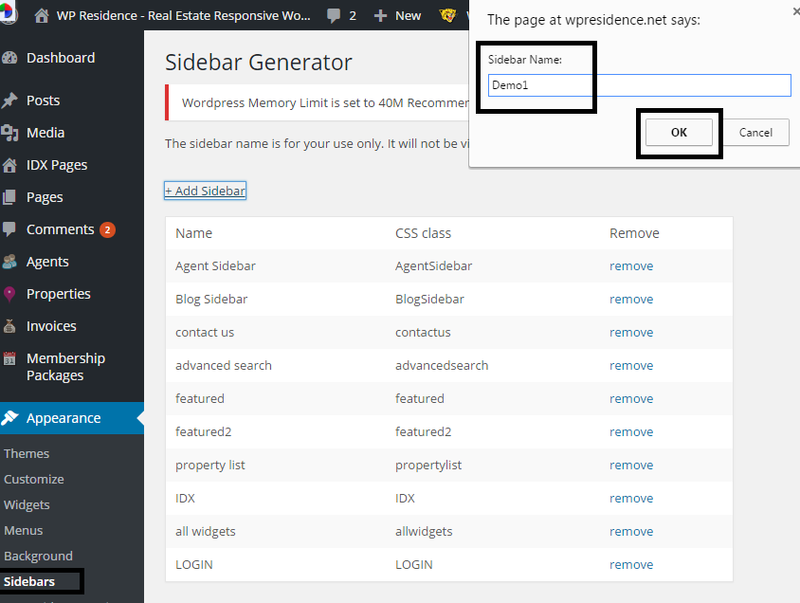 Create Sidebar from Appearance – Sidebars – Add New. Add the sidebar Name. And click OK to save. Add in widget the image and text with HTML. Find the fontawesome icon on https://fortawesome.github.io/Font-Awesome/icons/ or in wp-admin – editor.